For the first time, 1 billion people visited Facebook in one day on Monday. 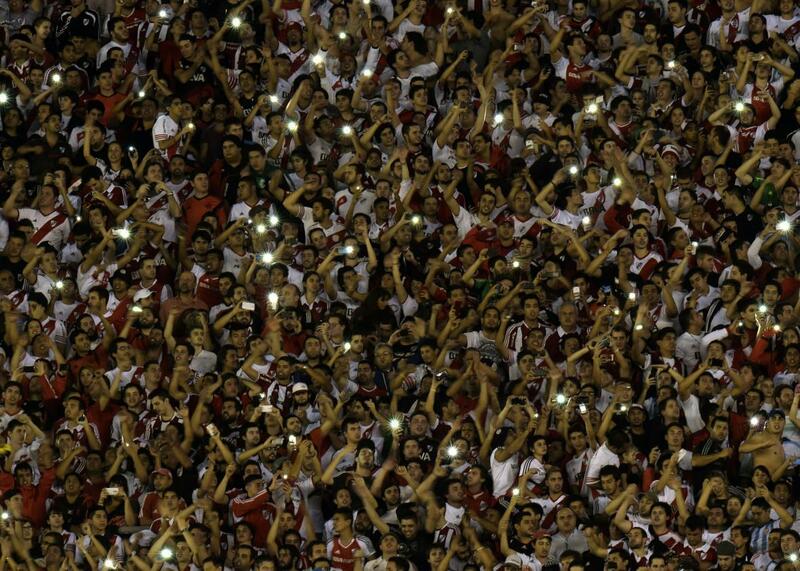 Soccer fans (and probably Facebook users) in Buenos Aires on May 21, 2015. Zuckerberg wrote, “Our community stands for giving every person a voice, for promoting understanding and for including everyone in the opportunities of our modern world,” and Cox noted, “I couldn’t be more excited about connecting the next billion.” Their comments are in line with Facebook’s ongoing, but controversial, effort to bring Web connectivity to everyone through its Internet.org initiative. Facebook hit 1 billion monthly active users in October 2012, but it has taken until now for 1 billion people to visit the site in one day. As of June 30, the service has 1.49 billion monthly active users. It would be pretty surreal to be able to say that you invented something that was used by “1 in 7 people on Earth” in a single day. There weren’t even 1 billion cars in the world until 2010.